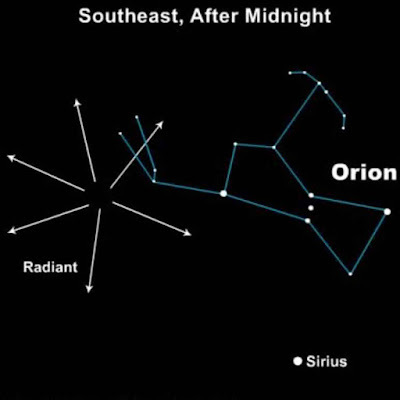 The annual Orionid meteor shower peaks tonight! Caused by small pieces of Comet Halley hitting our atmosphere at 147,000 miles per hour (66 kilometers per second), this shower is noted for variable rates - some years see only 15-20 meteors per hour on the peak night, whereas others have sported a maximum rate as high as 80-90 meteors per hour. The rates have been fairly low the past few years, and this year is particularly bad with the waning Moon located very close to the radiant, washing out the fainter meteors. 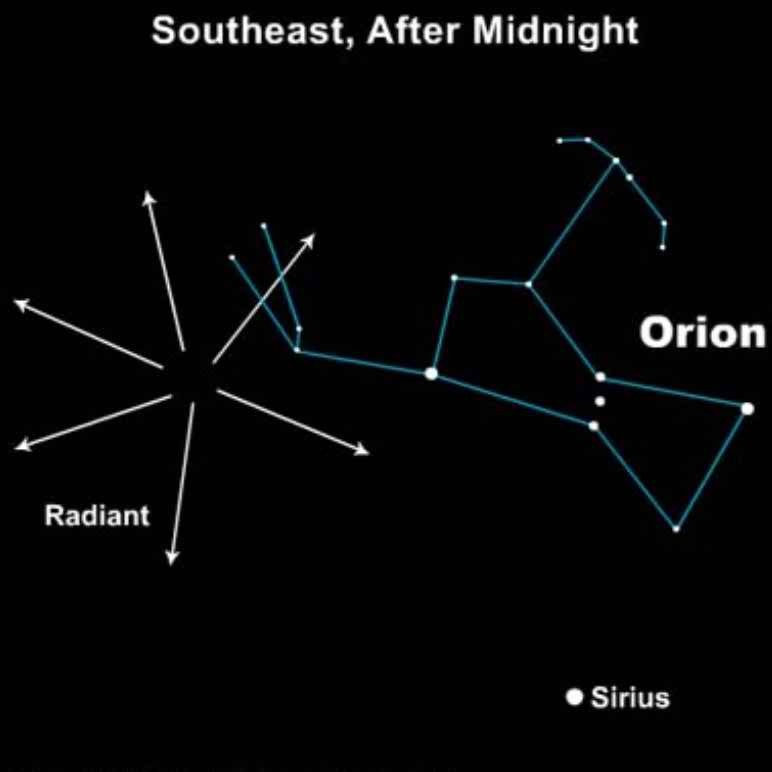 The annual Orionid meteor shower will peak Thursday night. 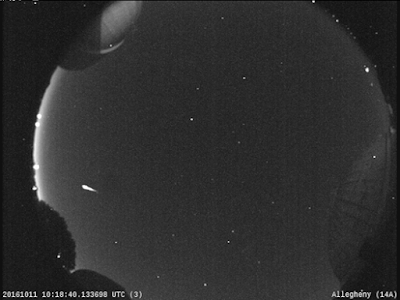 The meteor shower will peak late Thursday night and continue early into Friday morning. It is expected that those on the ground will be able to see between 10 and 20 meteors every hour during the shower’s peak. Some years, however, the Orionid meteor shower has produced up to 90 meteors per hour. The meteors will be most visible right before dawn.